Hello Everyone! 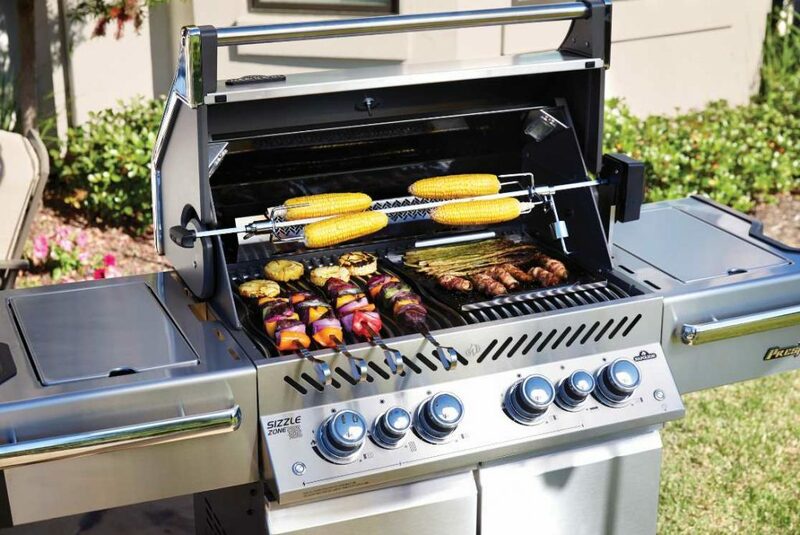 This time we've brought a high end gas grill for all those buyers who have a strong budget. 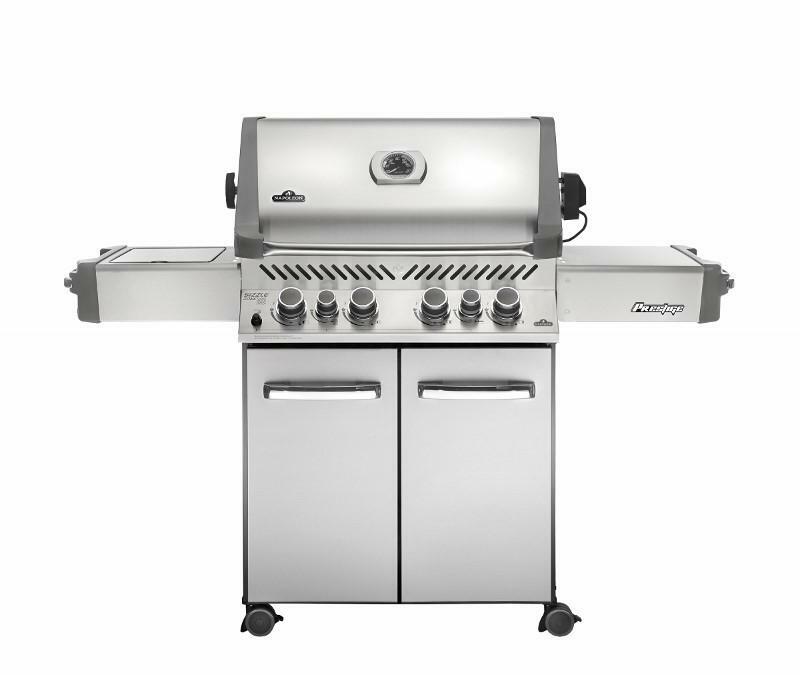 We are talking about this premium propane gas grill ‘Napoleon Prestige Pro 500’. 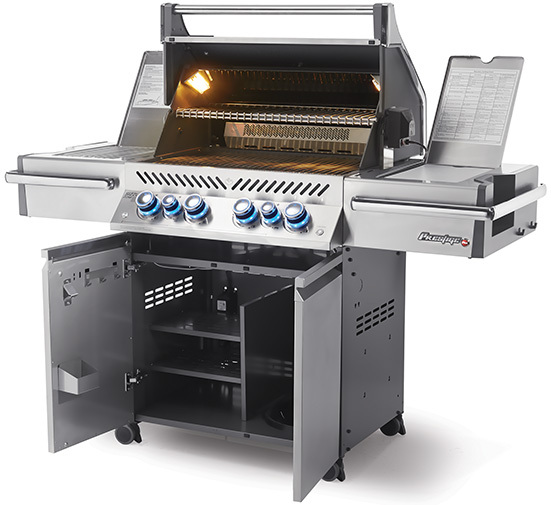 This gas grill had a total of six quality burners that provide a remarkable cooking power. The whole device is built with high-quality stainless-steel which not only expands its durability but also increases its ease of cleanability. With this device, your grilling will not be limited at all, as it comes with a rear infrared rotisserie burner and also a side infrared burner for searing purposes. So whether you've to roast chicken, grill meat or prepare hot dogs, you can do it freely without any restrictions. Can you imagine a backyard grill with no maneuverability? No, we guess. That's the reason this appliance comes with four caster wheels locking wheels, for better motion and stability. With a huge price tag, this premium grill is loaded with lots of features which you'll study further in this Napoleon Prestige Pro 500 review. Talking about looks, it has got a standard stainless steel design. There's a storage shelf at the mid which has two cabinet doors with metal wings on the side. You can use this storage cabinet for stocking condiments and refreshments. Just below the wave rod cooking grills, stainless steel material gives you extra life with easy cleanability. The unit sits over four caster roller wheels that comes with a locking mechanism, ensures no sliding when placed at a position. One good thing about this device, it features interior lighting at the storage cabinet that helps you to grill even at dark. Opposite to the sizzle zone infrared burner (on the side shelf), it has integrated cutting board with hooks where you can hang utensils or even towels. At the control panel, there are total six knobs for controlling the rate of burn. The knobs lightens at the dark. There's nothing fancy or comic but what it has is really useful for you. Napoleon Prestige Pro 500 comes with a total of six stainless steel burners that yields a remarkable cooking power of 60,000 BTUs. Along with this, it has an infrared side burner for searing and infrared rotisserie style rear burner too. At the main cooking section, four stainless steel burners provide a total heat power of 48,000 BTUs. The side burner has a heat capacity of 14,000 BTUs while the rotisserie kit with smoking channel has 18,000 BTUs. So regarding cooking power, here you'll get premium quality. Looking at cooking space, there are 760 square inches of a total cooking area with 500 square inches of main grilling area and 260 square inches of warming rack. At the storage cabinet, there's built-in icebox for storing beers and all. ● Ten years on the stainless-steel burners. ● Five-years warranty on the stainless-steel sear plates. ● Three-years warranty over rotisserie burner. ● Five-years warranty over all the remaining parts. ● The company offers fifty percent off on the burners for an additional five years. Great quality of burners and large cooking space gives full marks in utility. Build with stainless steel provides a classic look and is easy to clean. With inbuilt illumination, gives you the freedom to cook any type of food whether at daylight or night. Off course, some of you might not be convinced with the price tag. Multiple hearing surfaces won't find use always.